Members are expected to inform their guests of the proper attire for each event. NO JEANS PERMITTED AFTER 5:00 PM. Wednesday, Friday and Saturday – Jacket and tie not required in dining area. Collared shirt and slacks required. Sunday – Casual dining with appropriate golf attire permitted, no jacket or tie required. Collared shirts required. Hats are not permitted to be worn inside the dining rooms, the Men’s Grill, or anywhere else in the Clubhouse. Cocktail Lounge and Bar Area – Dining Room attire applies. Ladies will be expected to be dressed properly. NOT permitted in the Clubhouse at any time. If Clubhouse lockers are to be used, enter Locker Rooms directly from outside doors. Boys and young ladies 12 and over are required to conform to the above rules. If wearing improper attire, please refrain from entering the clubhouse at the front entrance. No bicycles are permitted anywhere in the Clubhouse at any time. Children under 16 years of age must always be accompanied by their parents. They are not allowed in the Locker Rooms, the Men’s Grill or the Ladies Lounge unless accompanied by their parents. Proper dress is required on the golf course, practice range and practice green at all times (Collared Shirt, Slacks or Bermuda Shorts, Golf Shoes). Jeans, Cargo Shorts, Sweatshirts, T-Shirts, Tank Tops, Bathing Suits, Sandals, or Flip-flops are not permitted on the golf course, practice range, or practice green at any time. A collared shirt properly tucked in is mandatory. SOFT spikes are to be worn at all times; sneakers are not to be substituted, and no bare feet. The same dress code discussed here for the golf course would also apply to the Men’s Grill Room and the Ladies Lounge. Note – Members are responsible for their guests adhering to proper dress codes. Children under ten (10) years of age must always be accompanied by an adult on a one-on-one basis on the golf course, practice range and practice green. Each child under ten must have an adult with them (i.e., two children under ten years of age require two adults to accompany them). Youths under sixteen (16) years of age are permitted on the practice range only if they are hitting balls or taking a lesson. No one under sixteen years of age is permitted to remain on the practice range as a spectator. Only those youths with a valid learner’s permit or driver’s license will be permitted to drive a golf cart. No notice, subscription of funds, or solicitation of any kind shall be posted on the Bulletin Board, or circulated, except by permission from the Board of Governors. No advertising placards shall be exhibited, nor any article exposed for sale in the Clubhouse, without the permission of the House Committee. No person shall conduct any business other than Club business from or in the Clubhouse or hold himself out as conducting any business from the Clubhouse, other than Club business. May 25th, 2019 through September 2nd, 2019 when the course shall be opened at 7:00 AM. Any Officer, Manager, Pro or Club Superintendent’s decision to close the golf course shall be final. Operation of the golf cars will be at the discretion of the green/golf cart committee. Players must be ready to tee off in proper golf attire before being assigned to any tee. New golf members must be qualified by the Pro before playing the course. The golf course may be closed for special club tournaments. A Junior member may not drive a golf cart unless he or she has a New York State Driver’s License. Junior members cannot sign for a cart unless he or she has a driver’s license. No more than four players may tee off or play together except in tournament play. Starter has the discretion to start players off the 10th tee. Such players on reaching the 1st tee will alternate between waiting players. No players shall be permitted to start on the 10th tee after 9 AM when the golf course opens at 7:30 AM. No players shall be permitted to start after 8:30 AM when the course opens at 7 AM. Weekday members shall have all golf privileges on weekdays, except on holidays that fall on weekdays. When there is an open hole in front, slow foursomes MUST invite faster foursomes to play through. Handicap Flags must be requested in advance at the pro shop with the Pro and the Medical Committee for approval. Riders are permitted to drive no closer than 20 yards from any Green. On “Cart Path Only” days, Handicap flags will not be available. WEDNESDAYS: Guests will be permitted to play throughout the day. FRIDAYS: Guests will be permitted to play from 7:30 AM to 8:30 AM and after 10:00 AM. One Guest will be permitted to play in a foursome with three Regular members during normal golfing times for Regular members. There will be no exception to this one guest rule. More than one guest playing with a member shall be permitted to play only AFTER 1:00 PM. No guest, as an individual, shall play golf more than twice a month at the Club, regardless of whose guest he is. Members must sign their guests in at the Pro Shop before playing. Guest tickets will not be issued unless the name of the guest or guests is given. Members must play with their guests. Guests will not be allowed on the course unless accompanied by a member. Junior Reserve members will be allowed guests on Saturdays, Sundays and Holidays after 2:00 PM. Guests are permitted while accompanied by a member. Proper tennis etiquette must always be followed. 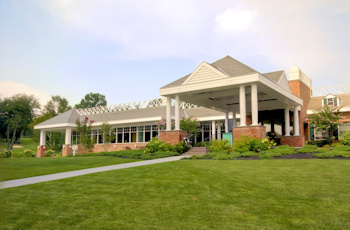 For all inquiries regarding court conditions, court availability, tennis shop, and programs, contact North Hills Country Club Head Tennis Professional, Darrel Bielawski, @ 917-853-8881 or tennis@northhillscc.com. Tennis sneakers and proper tennis attire must always be worn on the tennis courts. A shirt must be worn at all times. Flip-flops and bathing suits are not permitted during play.